Bartender Alex Straus has unveiled his Spring Cocktail Menu for Hemingway’s Lounge in Hollywood. 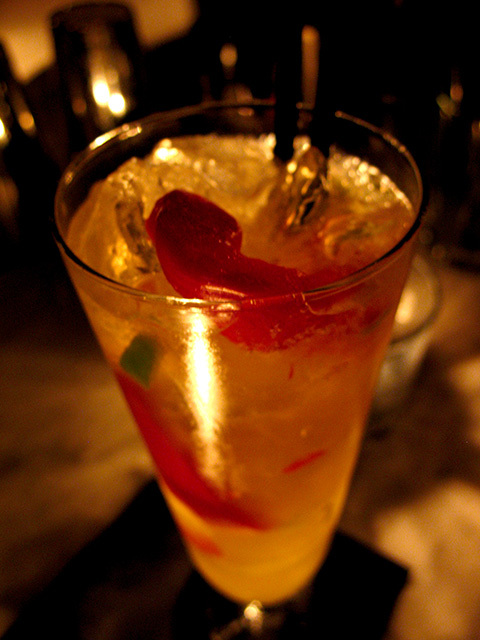 To introduce the new drinks, Straus (who was recently named L.A. Ambassador for The Bon Vivants) hosted a tasting before the crowds arrived and the venue kicked into gear. I met Aaron Tell (The Savory Hunter) at Hemingway’s, where Straus made the new drinks and graciously shared his recipes with us. 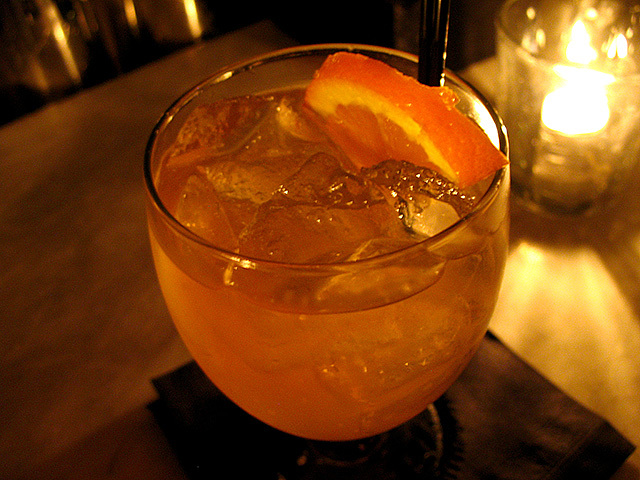 Notes: Our first cocktail was Straus’ favorite of the Spring Menu. It’s bright, refreshing and a perfect sipper for the season. Would love to have this one al fresco. 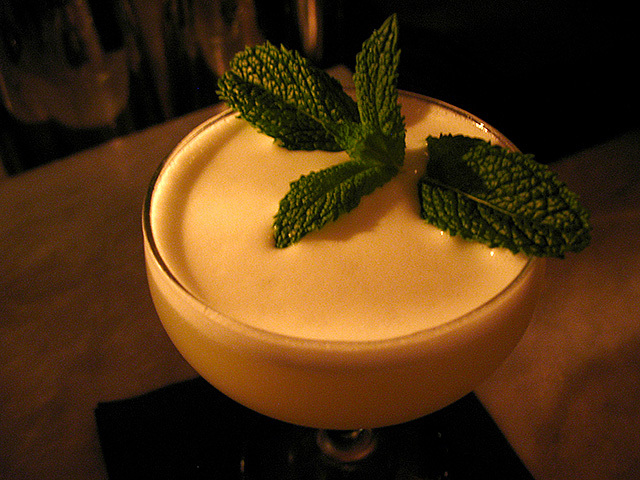 Notes: Unlike the pun-tastic cocktail names that can sometimes confuse as much as they inform, the Smoke & Spice is exactly that: the smoky mezcal, vegetal Chartreuse and gently spicy kick make for a dangerously good combination. Notes: Straus said he uses the Croatian vodka (triple-distilled from Italian wheat) as a fortifier for the sake. The sweet, unfiltered nigori (“cloudy”) sake gives the Spring Rain a body and texture much like a sour with egg white, minus the tartness. 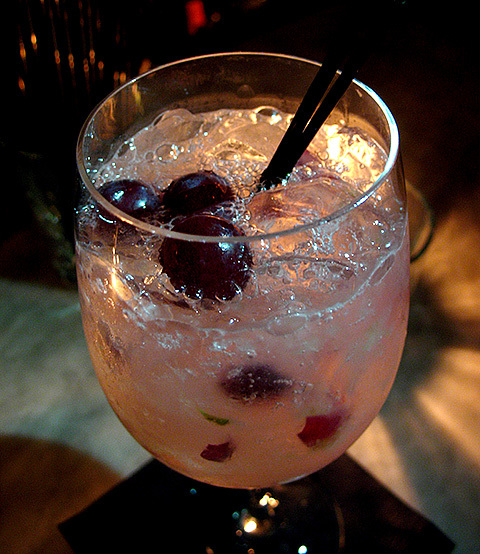 Straus noted that his vodka-based Garden of Eden outsells all the other Hemingway’s signature cocktails combined, so a vodka cocktail for spring was a must. Stir and strain over ice. Notes: After tasting that something was off, Straus asked the bartender to make another Hunting Party, adjusting the Hum down. Straus thought it still didn’t taste as he had intended. The distinctly-flavored Hum can be a tricky ingredient, but Straus will no doubt figure out the proper mix to bring the cocktail together. He also poured us a bit of the Benromach, which carries more depth, spice and floral notes than a traditionally sweet Speyside whisky. 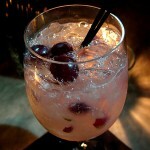 The Smoke & Spice edges out the Spring Rain as my favorite, while the Peruvian Sangria is sure to be a big seller. Taking his cues from the sunny days ahead as much as the clubgoers that pack Hemingway’s at night, Alex Straus has crafted an appealing set of cocktails for tailor-made for the season.